1) HOW MANY WEDDINGS DO YOU DO PER YEAR ? 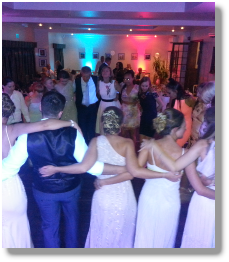 It is essential that your dj is experienced in wedding entertainment in order to provide a lively and memorable evening. A well established wedding dj will be very familiar with the requirements of a wedding reception and will perform in excess of 100 weddings per year. 2) HOW DO I KNOW YOU ARE A GOOD DJ ? A good dj will take the time to invite past customers to leave reviews around the internet. In addition to this he will have letters / cards of recommendation available for viewing as well as videos on the internet. 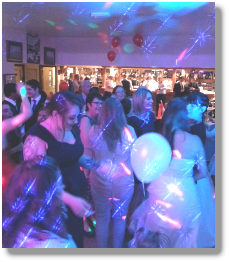 Please feel free to search the internet for ESSEX WEDDING DJS REVIEWS to see our good feedback. 3) DO YOU HAVE PLI AND PAT CERTIFICATES ? More and more venues are now insisting that the dj has PLI (public liability insurance) and PAT (portable appliance tested) certificates. Make sure your dj has both certificates and ask to see them. All Djs that work for Essex Wedding DJs hold both certificates. 4) DO YOU BELONG TO ANY PROFESSIONAL ASSOCIATIONS ? Being a member of a professional association shows that your dj is dedicated and is willing to conduct his business to the very high standards set out by the organisation. The dj should be able to supply proof of his membership. I personally belong to S.E.D.A the South Eastern Discotech Association and AMPdj and NADJ. 5) DO I GET WRITTEN CONFIRMATION OF MY BOOKING ? It is essential that written booking confirmation is received on bookings to show that your dj is committed to your wedding. Do not book a dj without confirmation as he can easily cancel your agreement. Essex Wedding DJs issue written confirmation with every disco booking. 6) DO I PAY A DEPOSIT ? It is essential that a deposit is paid to ensure that your dj is committed to your booking. Do not book a dj that does not require a deposit. 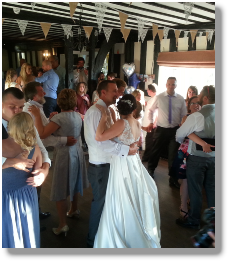 Essex Wedding Djs will request a small deposit for every booking and will also confirm receipt of that deposit. 7) WHAT HAPPENS IF YOU ARE UNWELL ? 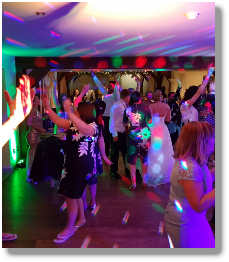 If your dj was unable to attend your event due to unforeseen circumstances then a professional mobile disco company will source another dj of similar ability. This should not be left for you to sort out. 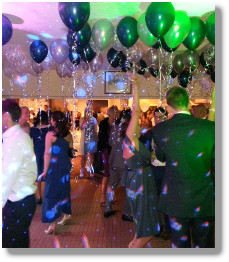 Rest assured that Essex Wedding Djs will make sure that a DJ turns up for your event. 8) CAN I OFFER A SONG LIST ? You are welcome to provide a list of favourite songs. A selection of around 30 is usually adequate. Remember a good dj will "read the crowd" in order to keep your guests on the dance floor. It is what he does best after years of experience. 9) CAN WE SEE YOU PERFORM BEFORE WE BOOK ? It would be unprofessional to invite you along to someone else's wedding to view a performance. The best alternative is to check out the reviews and videos around the internet, or request references from wedding venues where the dj is known. Feel free to search ESSEX WEDDING DJS REVIEWS to see our good feedback. 10) HOW MUCH IS YOUR FEE ? This is the first question that is normally asked on initial contact and it can be answered with another question. "How important is your wedding" ? When you consider that the evening entertainment is one of the main parts of the whole day then booking the cheapest dj is not the best policy. A "good" dj will earn his fee and make your wedding reception unique and memorable. 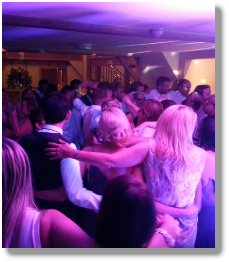 At Essex Wedding Djs we can accommodate all of the above features. Why not complete our simple free quote form for your FREE personal quote. It’s your big day so get it right first time.